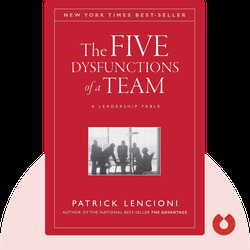 The Five Dysfunctions of a Team (2002) presents the notion that teams are inherently dysfunctional, so deliberate steps must be taken to facilitate great teamwork. A knowledgeable team leader can do a great deal to make his or her team effective, and the book outlines practical tools for achieving this. Patrick Lencioni is president of The Table Group, a management consultancy. His previous bestselling books include Overcoming the Five Dysfunctions of a Team, Death by Meeting and Silos, Politics and Turf Wars. In 2008, CNN Money listed him as one of "ten new gurus you should know." 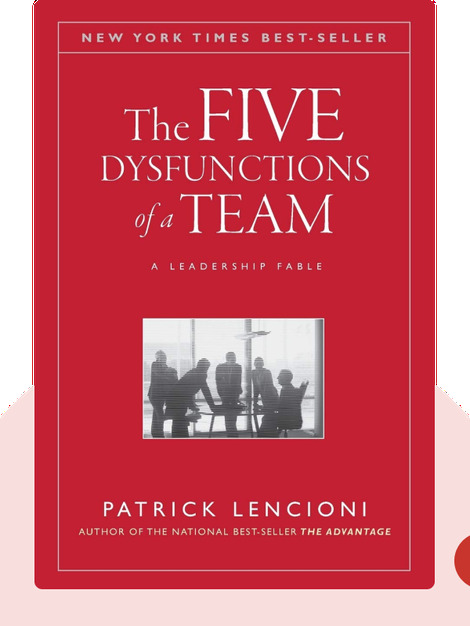 Patrick M. Lencioni: The Five Dysfunctions of a Team copyright 2002, John Wiley & Sons Inc. Used by permission of John Wiley & Sons Inc. and shall not be made available to any unauthorized third parties.